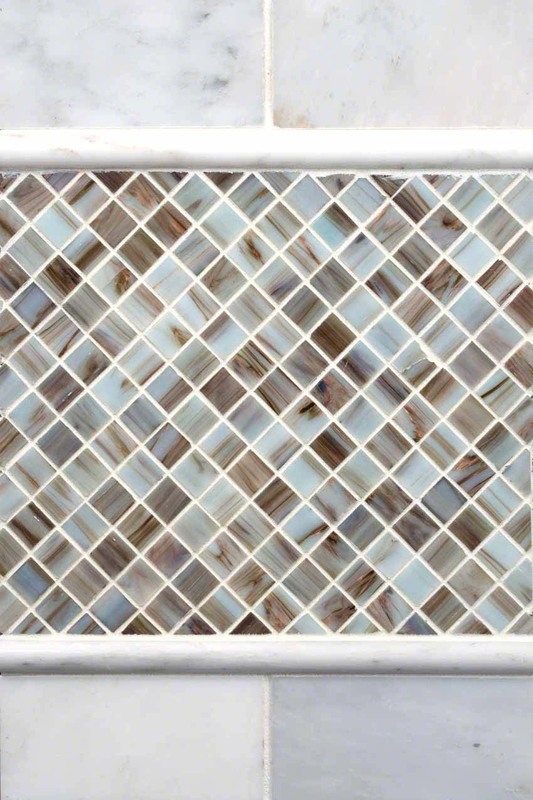 Combining iridescent glass mosaic backsplash tile together with natural marble is an inspired design for a backsplash for kitchens and baths. In this design we’ve taken the classic Greecian White Marble 3x6 Subway tile and its matching Pencil Molding and added our Iridescent Ivory Glass Tile that effortlessly pulls the undertones of gray and gold from the marble. Perfect for traditional, transitional, and contemporary design styles.